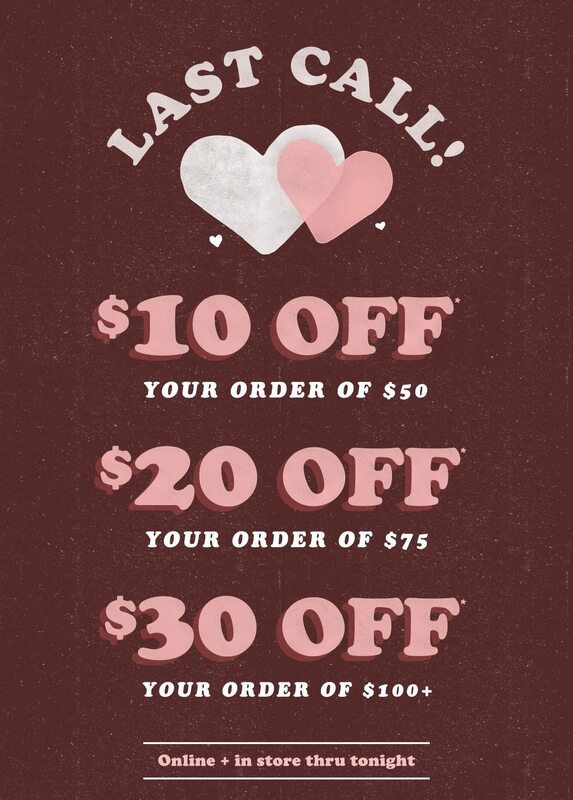 HOMAGE LAST CALL: Up to $30 OFF! 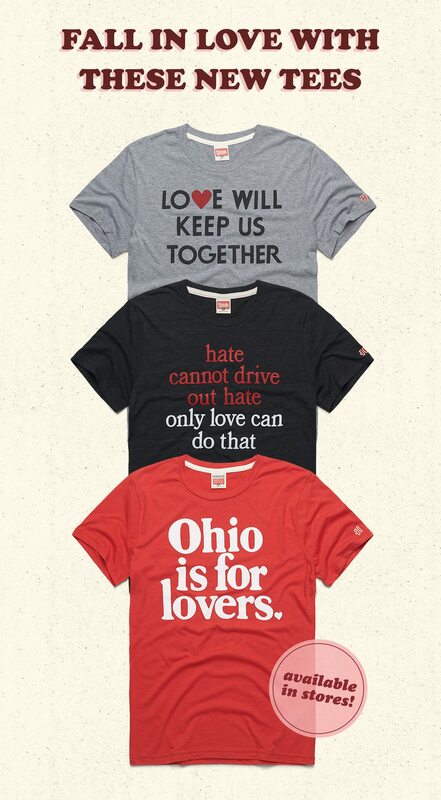 Don’t leave this tiered sale lonely: load cupid’s bow with V-Day gear! *Spend $50 before taxes, shipping and handling and receive $10 off your purchase. Spend $75 before taxes, shipping and handling and receive $20 off your purchase. Spend $100 or more before taxes, shipping and handling and receive $30 off your purchase. Offer applies to items on HOMAGE.COM and at HOMAGE retail locations. Offer valid Wednesday, February 6, 2018 at 12:00am EST through Thursday, February 7, 2018 at 11:59pm EST. Offer excludes HOMAGE Classic Gift Cards and E-Gift Cards, Mystery Pack and Fleece Mystery 2-pack. Not valid with any other offers, discounts, or promotions. Select items available only online. Discount applies at checkout. Offer valid while supplies last. Non-HOMAGE branded products and merchandise are excluded from this promotion.